If you did not know that this weekend some of the wealthiest and most powerful people in the world will meet in the Las Vegas desert to plot a massive and well-financed campaign against the Boycott, Divestment, and Sanctions movement, it’s not your fault. Palumbo-Liu notes that in order to be aware of this event, “you would have to be a reader of news sources such as the Forward or Haaretz, or Mondoweiss“. Four days after the Salon posting appeared, The New York Times buried two paragraphs about the Vegas meeting inside a longer story which featured the success Israel was enjoying in gaining anti-BDS support in state legislatures in South Carolina and Illinois. The Vegas event took place away from the U.S. mainstream spotlight because U.S. mainstream media chose to ignore it. 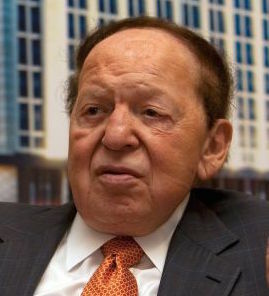 The meeting was held, appropriately enough, in Sheldon Adelson’s luxurious Venetian Hotel and Casino in Las Vegas, Nevada, This gambling center has already become an important stop for Republican presidential aspirants in search of Adelson’s money and backing. This anti-BDS weekend gathering followed the same call and response strategy as the 2012 and the upcoming 2016 Adelson primaries, to choose a Republican presidential nominee. Leading Jewish mega-donors … summoned pro-Israel [anti-BDS] activists for a closed-door meeting in Las Vegas to establish, and fund, successful strategies for countering the wave of anti-Israel activity on college campuses”. The meeting was not exclusively Republican. Haim Saban, a Los Angeles billionaire, is a major Democratic donor who enjoys what the Forward terms “close ties to the Clintons”. Those ties include Saban funding for the Clinton Foundation as well as for Hillary Clinton’s campaign for the White House. Variety, the show business publication, reported that Saban declared his strong support for Clinton in May with a major fund raiser for her in his home. In his second analysis of the weekend’s goals, the Forward’s Nathan Gutman wrote that New Jersey Rabbi Shmuley Boteach, who has close ties to New Jersey’s two Democratic senators, “will act as the new initiative’s point man”, a further indication that both U.S. political parties have their strong Zionist components. In contrast to the grassroots beginnings of the BDS movement, the Vegas anti-BDS program is structured from the top down. Participant groups were asked to prepare a 10-minute TED-style presentation to donors. In effect the anti-BDS groups will make their case to the donors, seeking funds for their programs, which will be blessed by the donors who approve of the direction the groups promise to go. At the end of the conference, the donors were expected to “develop the conceptual framework for the anti-BDS action plan, assign roles and responsibilities to pro-Israel organizations, and create an appropriate command-and-control system to implement it,” again a top to bottom structure. The donors attending the conference were expected to make a prior commitment for an “average donation of $1M over the next two years”. In keeping with Israel’s practice of naming its numerous wars after biblical events, this new organization will be called “the Maccabees”, a name derived from the Jewish group of “patriots who freed Judea from Seleucid oppression (168-142 bc)”. Palumbo-Liu traces the more recent history of the BDS movement which began with “the nearly 200 civil organizations in Palestine who put out the call for Boycotts, Divestment and Sanctions in 2005, and those in the U.S. and elsewhere who have answered that call. The organizations which heard and acted on the call began with the Association for Asian American Studies, followed by “the American Studies Association and several other academic organizations, progressive Jewish groups such as Jewish Voice for Peace, student organizations throughout the country that have passed divestment resolutions (including the student government body representing the entire University of California system), and now labor unions”. National U.S. religious organizations are slowly cranking up their peace and justice agendas to focus on the human rights brutality of Israel’s occupation. Mondoweiss continues to be virtually the only media outlet, religious or secular, to report on progress, or lack of progress, toward justice in the American church organizations. This month, three more U.S. churches—the Episcopal Church, the United Church of Christ (UCC), and the Mennonite Church USA (MCUSA)—will join the growing list of those denominations responding to the Kairos Palestine call and voting to end financial support for Israel’s occupation. The 78th General Convention of The Episcopal Church will meet from Thursday, June 25 to Friday, July 3 at the Salt Palace Convention Center in Salt Lake City, Utah. On the Episcopal Convention agenda will be a proposal developed by a new group, the Episcopal Committee for Justice in Israel and Palestine. The UCC General Synod will meet June 26-30, in Cleveland, Ohio where it will consider a Resolution of Witness which will call for “divesting from companies that profit from the Israeli occupation of Palestinian territories and for boycotting products produced in such territories by Israeli companies”. The third national body considering specific action on the issue is the Mennonite Church USA Convention, which will meet June 30-July 5, in Kansas City, Missouri. Anti-BDS forces, as usual, will arrive at the three assemblies with their Protestant religious allies (delegates who oppose BDS) to campaign against BDS among delegates. Some may even be granted time to speak to groups of delegates. This may be the last chance for these three major U.S. denominations to fix themselves firmly on the side of justice alongside a growing number of other religious and secular groups who have finally faced the reality of the evil of occupation. When delegates to the assemblies held by Episcopalians, the UCC, and the Mennonite church vote this summer on BDS resolutions, they will be choosing to endorse or “continue to discuss” the occupation of Palestinians. Before they vote, these delegates will want to reread Joshua 24:15, where it is recorded that “for me and my house, we will serve the Lord”. 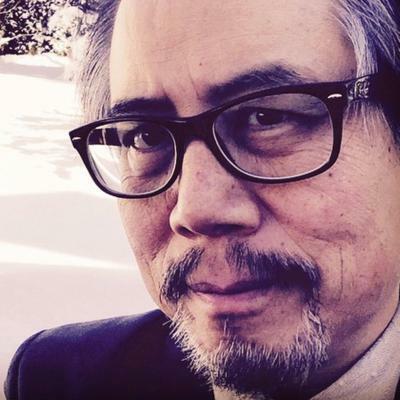 The picture of David Palumbo-Liu is from his website. The picture of Sheldon Adelson is from Bloomberg. The BDS poster is from South Africa. Special Note: If you are not on a special Wall Writings Alert mailing list. and would like to make sure you receive each posting as soon as it is published, write to jameswall8@gmail.com with the message, “Please add me”. This entry was posted in Hillary Clinton, Israel, Media, Middle East, Palestinians. Bookmark the permalink. BDS threatens to expose the ugly truth, which all the money in Vegas can’t suppress. The genie can’t be put back into the bottle. It’s rather entertaining to watch these desperate power mongers try nonetheless, and unwittingly be conquered by their own moral bankruptcy. Just desserts, or just schadenfreude…. Thank you, Jim, for further exposing the Zionist scheme of fighting BDS. I am sure that their boring, but traditional, “Fake-ant-Semitism” slander will be a prominent in their plans. I say, let them do it and expose their emptiness. Since there is no way to counter the overwhelming amount of “dirty-Money” generated for the “Anti-BDS” campaign, the “BDS” movement needs to take the “initiative”. Yes, it needs to take the initiative, and not “react” to the campaign, but initiate it and generate more momentum for BDS. It does not have to be fancy. It could be small pin pricks, but numerous initiatives like swarms of bees, like “Guerrilla Tactics” of a variety of creativity, art & wit, and Twitter & other social media, and making fun of and exposing and ridiculing the evil duo of Sheldon-Saban Goliaths, exposing their utterly ugly sides of anti-humanity, and having their caricatures linked to all “anti-BDS” activities. Let Sheldon’s face represent the “anti-BDS” campaign. Applications could be plentiful, I have no doubt. I can just picture Sheldon’s face with a caption, such as, “You Know BDS is Right. When Sheldon is Against it”. This is just one thought and I am sure that the outflowing creativity and energy of the BDS movement will come up with many ideas. As Lincoln so wisely put it during our Civil War, it will do no good to invoke God to be on “our side”. It is rather for us to be on “God’s side”. Clearly, God is on the side of the oppressed, the impoverished and downtrodden. God-fearers had best be on God’s side in this battle. Insofar as Israelis are treated unjustly, God is for them; insofar as the Arab Palestinians are treated unjustly, God is for them. It’s still a battle for human rights all around. Fairness. Justice. Pulling the levers that will get the attention of the principalities and powers to set right historic injustices. Each and all are to be willing to face our shadow side, the side where our Pure Innocence is shattered. We take orders from our Superior. And the place we are standing is holy. “God” is still about the business of bringing healing, wholeness and reconciliation to God’s disgruntled and warring children. As for me and my house, we (KUSA) choose to be on God’s side. Thanks, Jim. I can’t help but think of a phrase from the book, Your Fatwa Doesn’t Apply Here, published in 2013. The phrase refers to Islamic fundamentalism as “Islamic exceptionalism.” I’m eally getting tired of the idolatries in all three Abrahamic faiths! Isn’t it time we jettisoned “exceptionalism” and “chosen” and special status for any group? BDS calls for human rights for all. I’ll happily support that. Let’s get Zionism out of American policies! Although this meeting was not mentioned, yesterday’s NYT (6/9/15) included an anti-BDS opinion piece. It was the usual name-calling and false statements. I would not be surprised if its author was a part of this Las Vegas cabal. Jim, now that I read this entry, I think that you might be dismayed to see how much you merely parrot the arguments of the ultra-right, the Klan, neo-nazis and others. “Secret Jewish meetings”? Really? You should be ashamed of yourself! You are an embarrassment to the many wonderful Methodists I know and have worked with over the years. And an embarrassment to Emory University!